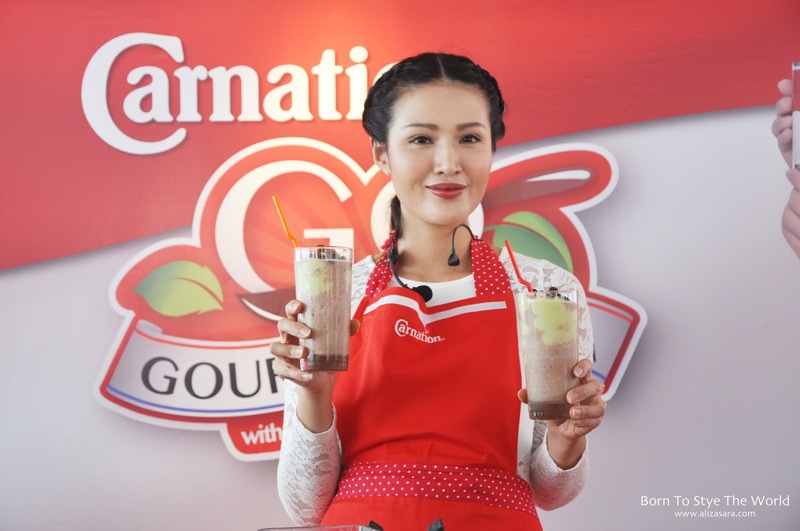 Other than being named after a flower, its also one of Malaysia's well known Evaporated Creamer by F&N. 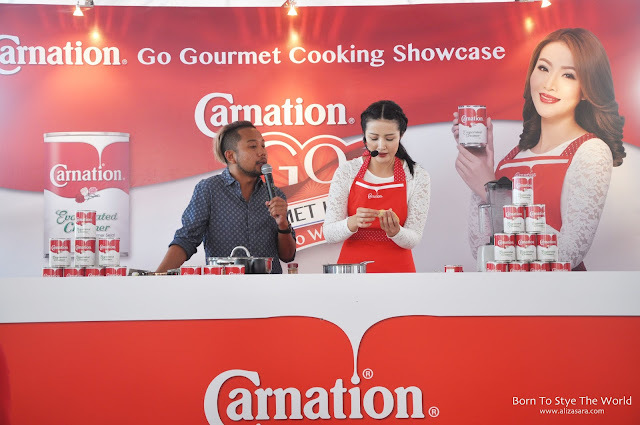 And on 25th May 2016, CARNATION has presented an exclusive cooking showcase featuring celebrity chef and CARNATION ambassador, Soo Wincci at TESCO Mutiara. And psst, if you havent heard, theres a CARNATION Go Gourmet Korea contest happening, where you can possibly win a chance to win your way to Korea. The highlight of the event was the sharing of 3 delicious recipes created with CARNATION Evaporated Creamer. 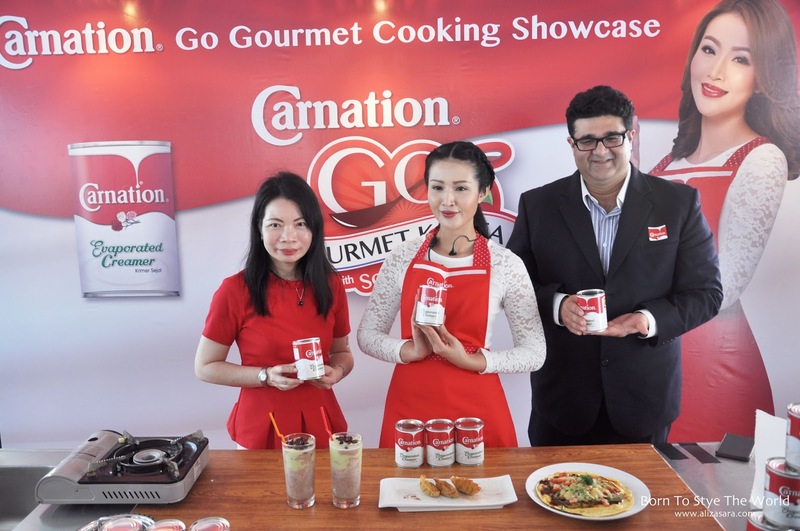 Nowadays, we are all looking for a 'quick and easy' solution to preparing meals, and obviously, CARNATION has made cooking more convenient, proving to consumers that gourmet can be made easy too. And her Adzuki Avocado Milkshake. At the event, Soo Wincci shared a few thoughts and her kitchen secrets, preparing her super taste Puffy Omelette Pizza, Apple Pie Wonton and Adzuki Avocado Milkshake to bring the true harmony of exquisite flavours. And to be honest, i was shocked to find out that most of these dishes didnt take more than 30 minutes to prepare. How cool is that? Wincci also mentioned that she can be rather busy with her schedule, so she was figuring out on different ways to prepare meals that takes less time, but taste as if it was made in the kitchen for hours. Since good things are meant to be shared, i will be listing down the ingredients for you to try at home. 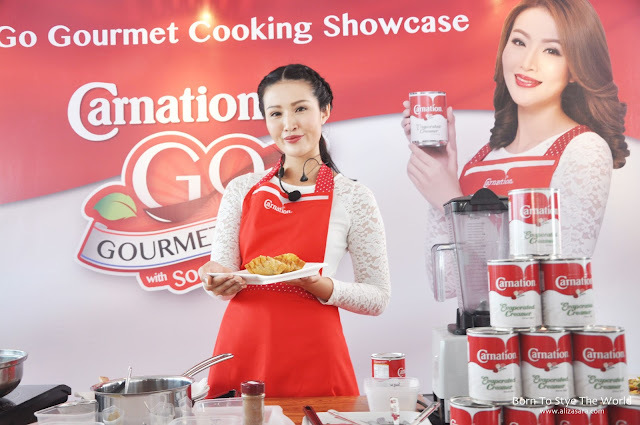 I have to admit that i enjoyed the cooking show with Soo Wincci cause her personality is just very bubbly and cheerful. She makes preparing dishes look fun, which i think not many of us are able to pull that off when we're in the kitchen! Wincci is talented in so many ways if you ask me, she has the looks, the talent and the skill where people can look up to her as a strong woman. You go girl! So there you have it, who knew you can prepare many kinds of dishes with evaporated creamer? 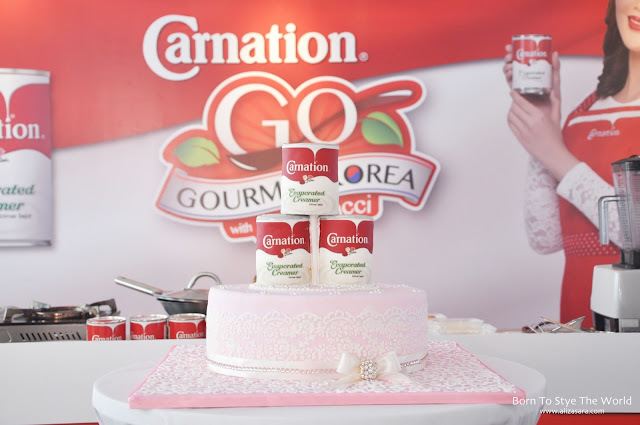 When will you be preparing your next dish with Carnation Evaporated Creamer? 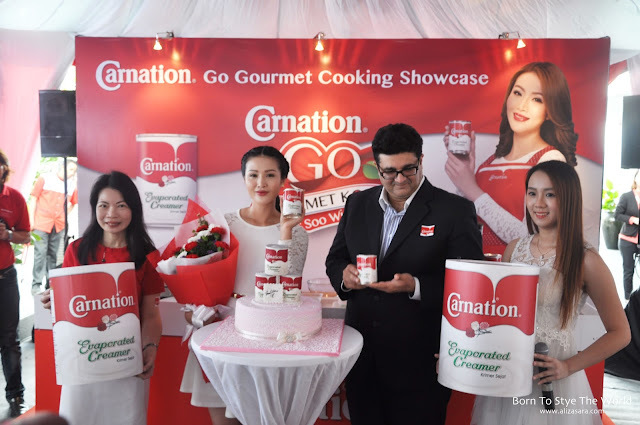 CARNATION Evaporated Creamer recently unveiled its new packaging with the same great taste, and its now avaialble at all hypermarkets and major retails nationwide. For more information on CARNATION and the CARNATION Go Gourmet Korea with Soo Wincci contest, please visit www.fndairies.com. Thanks for dropping by! They really know how to treat their VIP's right? The special movie screening is held in conjunction with Watsons collaboration with marvels latest offering to a movie night out, giving its VIP members the privilege to be one of the first few in the world to have watched the blockbuster action movie series. 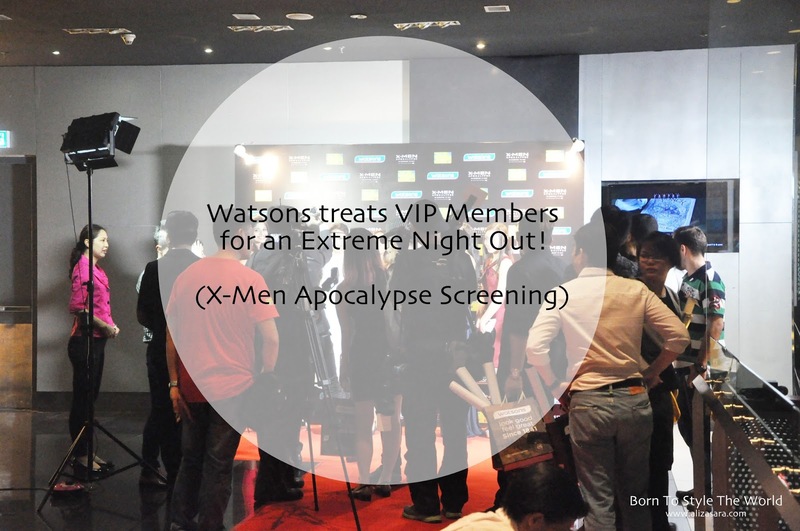 You got that right, the lucky VIP members are watching X-Men even before the movie is out! 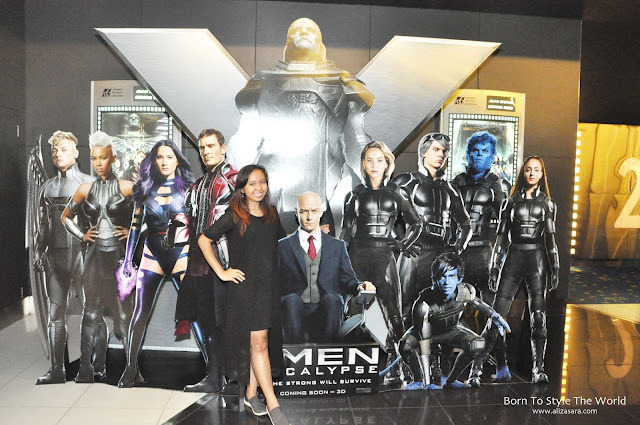 Mandatory shot // Thanks to a Mr Photographer! Even some of the Miss Malaysia Finalist were present too! At the special movie screening, VIP members who attended were given an extra surprise when they were given a chance to win a pair of air flight return ticket to Melbourne and Perth, where a total of 20 lucky VIP members were selected to go through two rounds of challenges before the last two standing were announced as winners. Personally, who really knew that it was that easy to win return flight tickets from Watsons?! 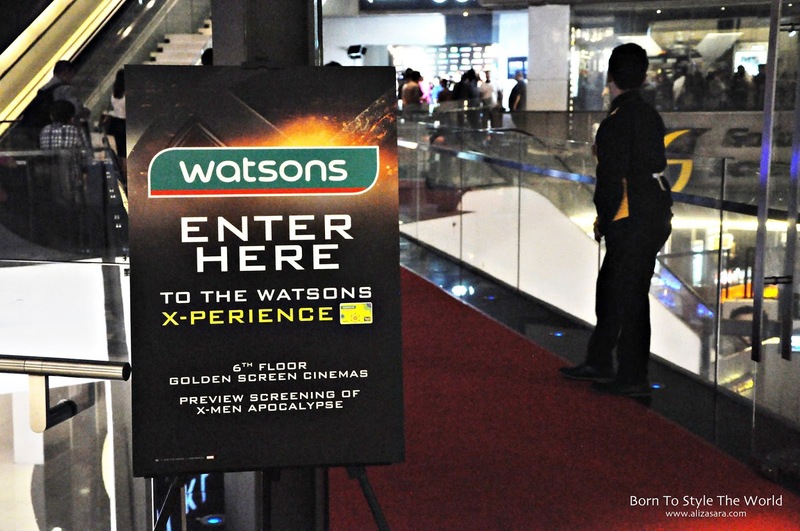 The first round of the challenge was to test their knowledge with questions and answers round relating to Watsons and X-men. The top 6 highest scores advance to the final round where they compete against one another to win a pair of flight tickets to Australia's vibrant cities courtesy from AirAsiaX. The final round was tested by a quirky challenge, where they had to wear an X-Men merchandise cap and by using the tip of the cap to carry a Watsons brand toothbrush from a Watsons Treat Water bottle and placing the toothbrush into another bowl within the time frame given. 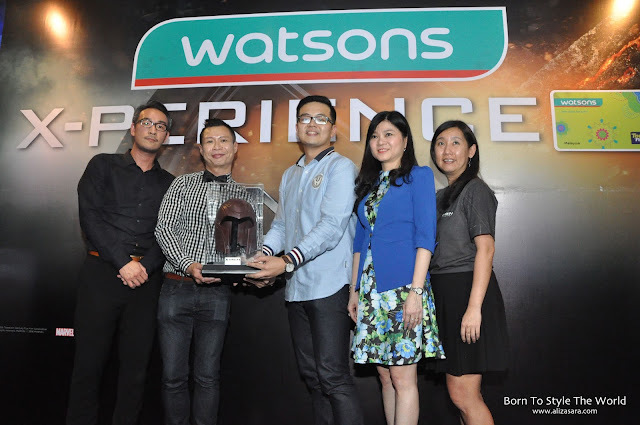 And with those challenges, the top two winners were given a mock air flight ticket at the prize presentation. 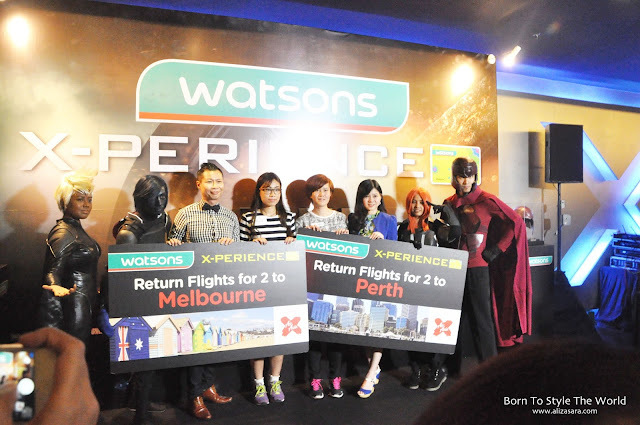 The top scorer in the final round was given the choice to choose the flight destination between Melbourne or Perth, and the second place receiving the alternate destination. This is one lucky fella! If you think the fun ends there, it doesn't! 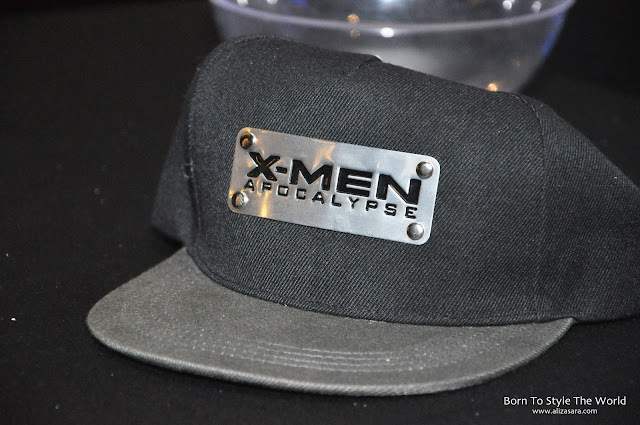 Because guest and members of the media were also treated to another surprise when Caryn and Danny gave away TWO EXCLUSIVE MAGNETO HELMET REPLICA X-MEN merchandise in a lucky draw which was flown in for the special movie screening all the way from London! 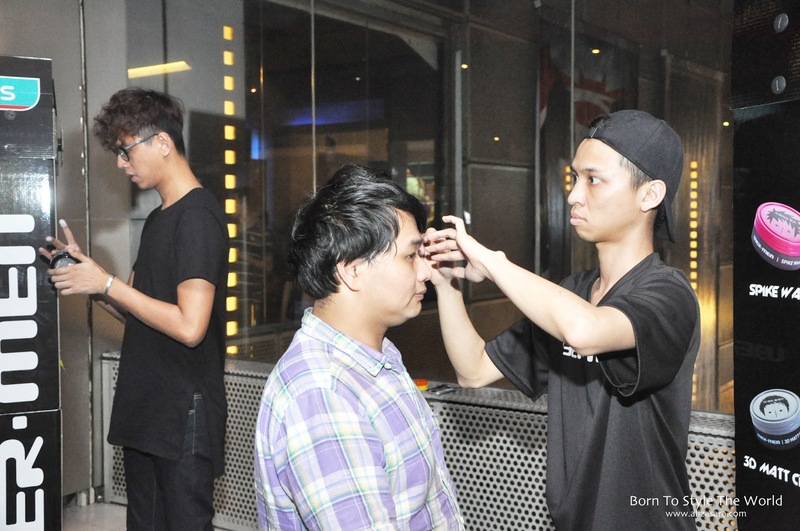 Uber Men was present to sponsor the event with some hairdo's for the event too! 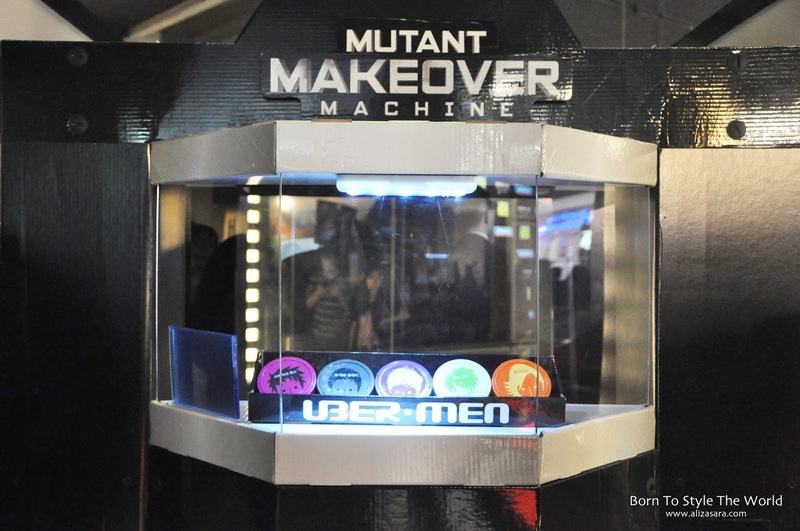 A man glamming up for the red carpet with Uber Men. 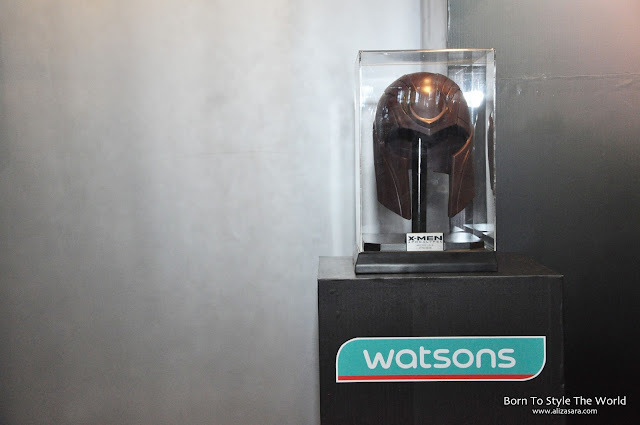 Its really no doubt that Watsons has always been smart with their partnerships to create innovative campaigns such as this. And on a side note, to X-Men fans, exclusice gift with purchases including Ubermen earphones and X-men Apocalypse caps are available with purchase on participating brands products until 25th May, so hurry to your nearest Watsons stores today! 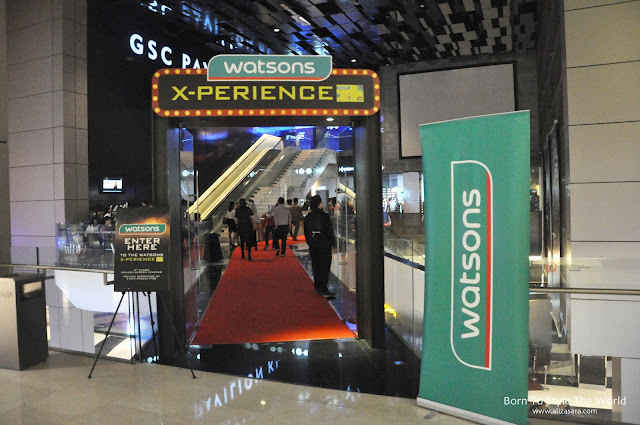 Also dont forget to visit Watsons Facebook at www.facebook.com/watsonsmalaysia or Watsons official website at www.watsons.com.my to keep yourself updated with the latest promotions! 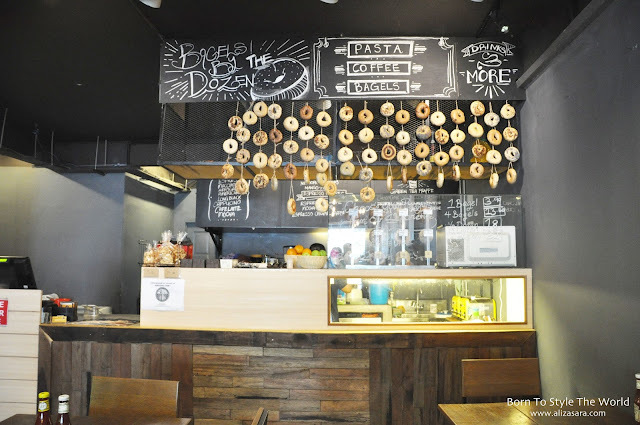 And tadaa, after so long of eyeing BrooklynB, finally got the chance to check them out. I was rather fascinated that their dishes are creatively made with bagels! And if you think their burgers are going to be like how you think it would be, well, im telling you to expect the unexpected. 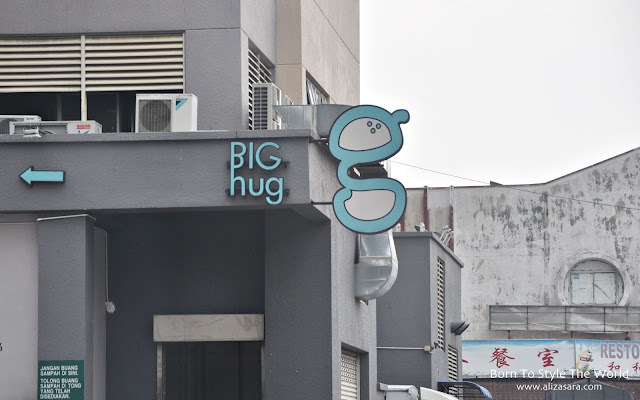 Located within the same row where McDonalds is in SS15, its like its own gem in a row of shop lots. 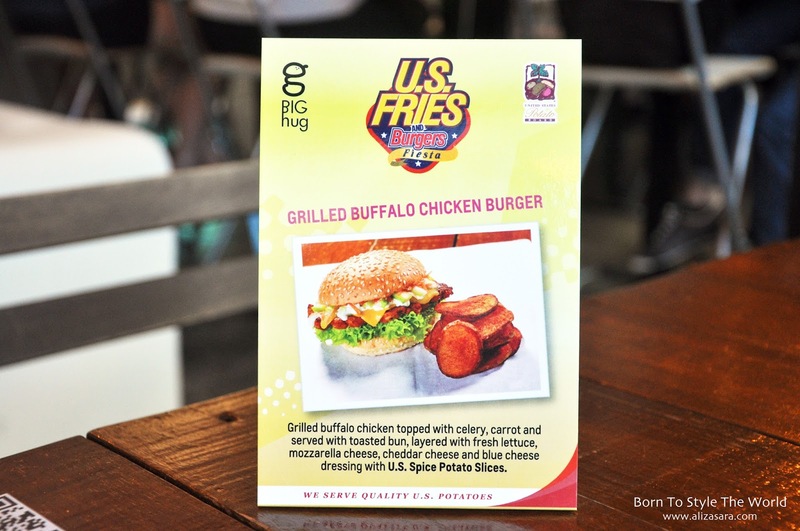 Can you guess what their featured burgers are in conjunction with the U.S Fries with Burgers Fiesta? Scroll down to find out! First up in the menu would be their Philly Cheese Steak, which features thinly sliced beef served with caramelised onions, cheese and U.S Straight Cut Fries in a dish. 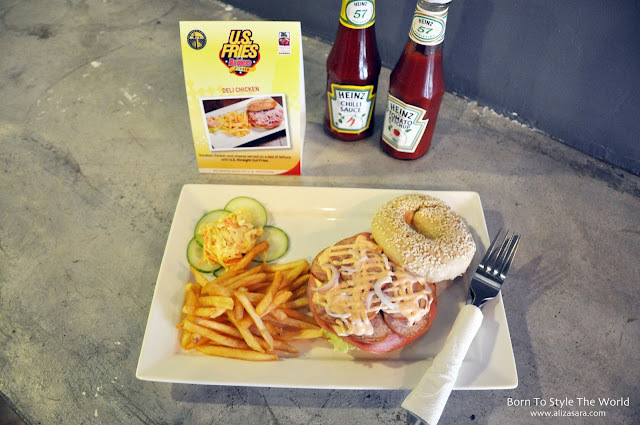 As the first dish served, i was rather shocked to find the bun's of this so called burger are made out of bagels! 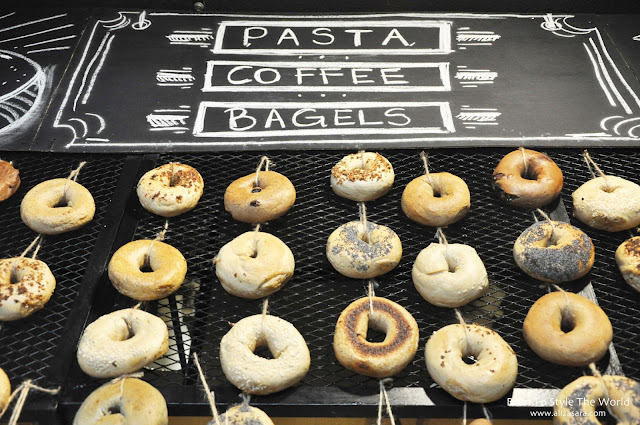 Imagine a fusion of one of the few best things in life, bagels with a concept of burgers. 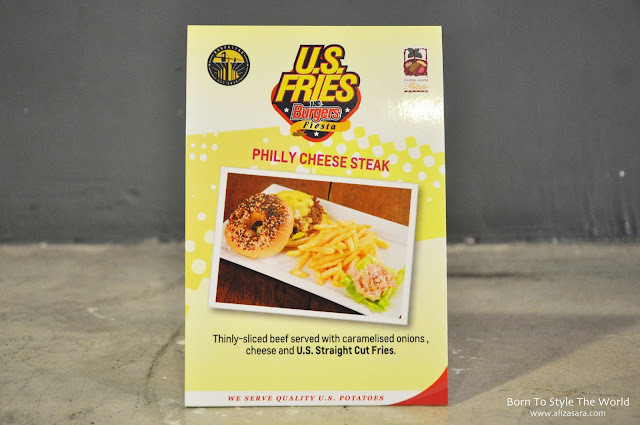 Yep, and in this particular dish, instead of beef patties, it's substituted with Philly cheese steak to get yourself to drool. 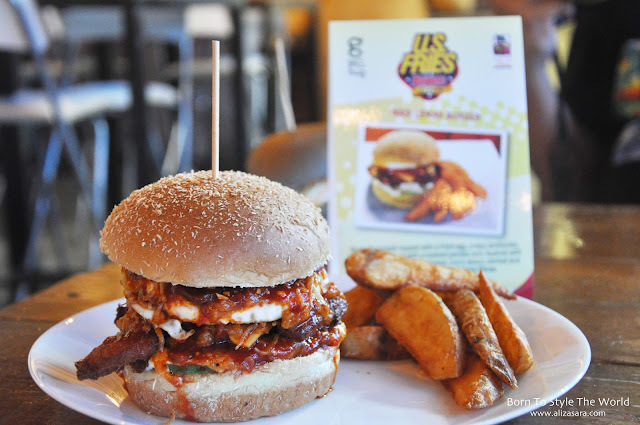 And i have to say that the fries on the sides are amazing as an appetizer to the dish. 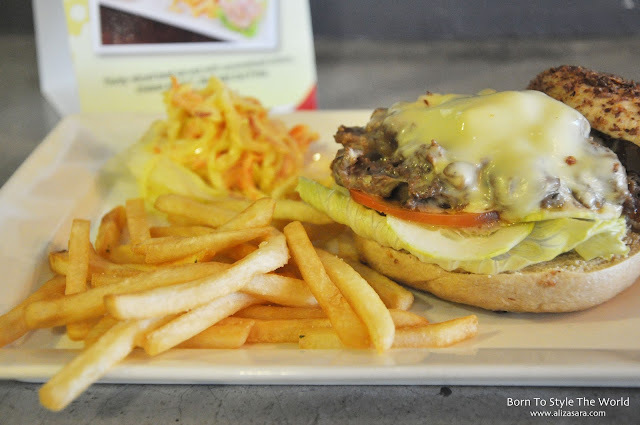 Steak lovers, this is a must try! Another dish by BrooklynB that has been featured to be in this campaign would be the Deli Chicken. 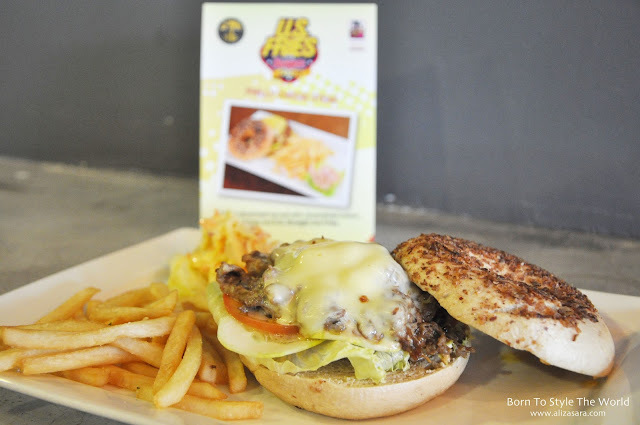 This dish is practically all about the smoked chicken and cheese served on a bed of lettuce with U.S Straight Cut Fries on the side. 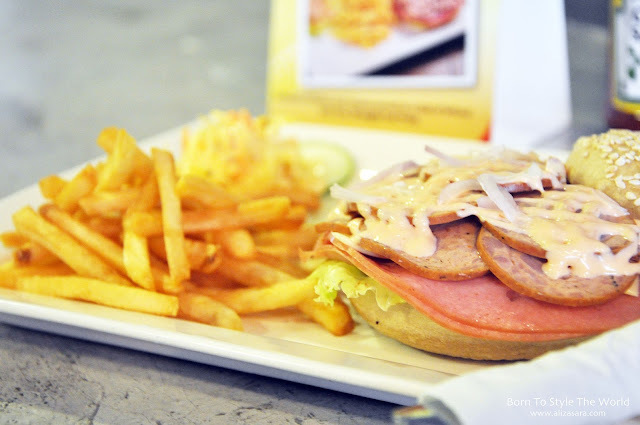 Forget about chicken ham sandwich, cause this is one of its kind. 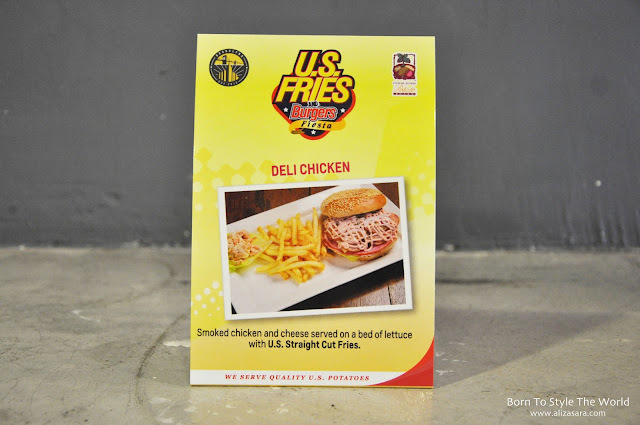 The Smoked chicken slice really compliments the taste of the savoury bagel, and the straight cut fries add a crispy texture to the entire dish. 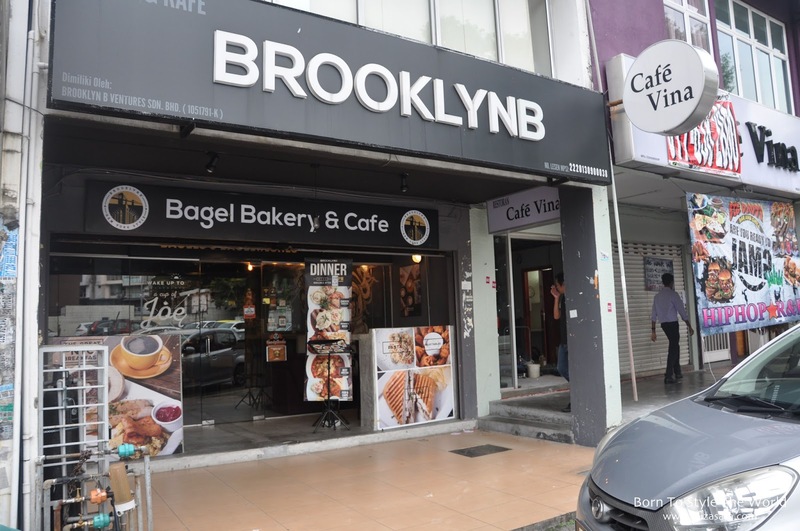 So there you have it ladies and gents, for those who loves to get a taste of savoury bagels differently, you should definitely head on over to BrooklynB in SS15, Subang Jaya to get a taste of this! For more information on BrooklyB, head on over to their Facebook page at https://www.facebook.com/Brooklyn.B.Bagels/?fref=ts. 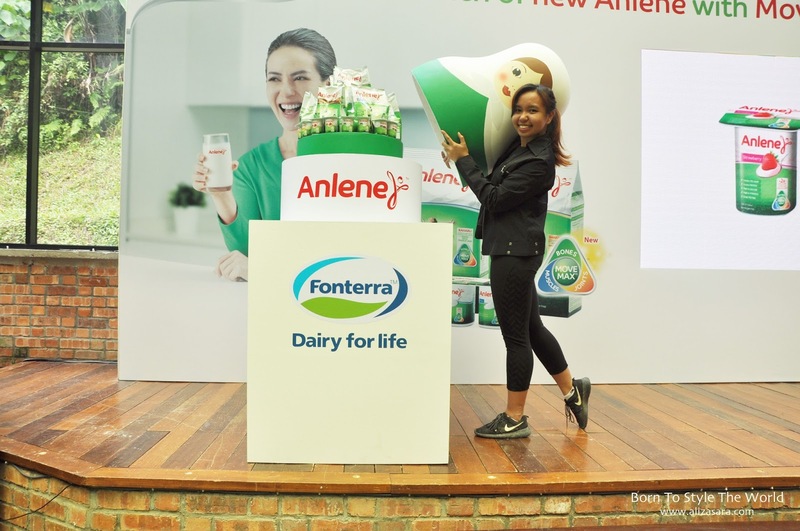 Anlene has been well known for strengthening bones by providing calcium under Dairy giant Fonterra Brands Malaysia, and today, they have launched a nation-wide campaign to get Malaysians to move as young as they fell inside. 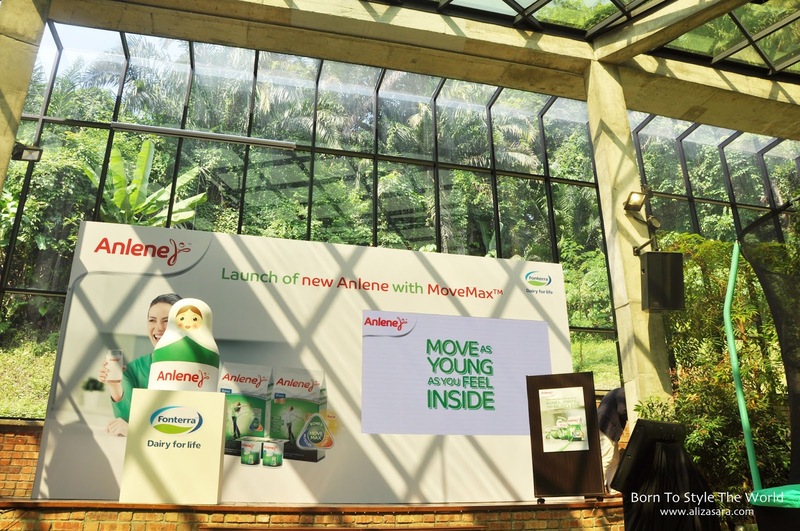 The launch is in conjunction with the introduction of the new Anlene with MoveMax formula which includes Calcium, Collagen, and Protein for the well-being of bones, joints and muscles. Jose Miguel sharing a few words on behalf of Fonterra Brands Malaysia and Singapore. 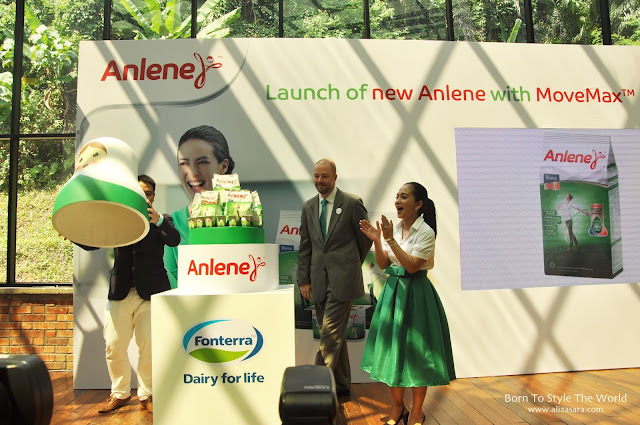 Mr Jose Miguel Porraz Landor, Managing Director of Fonterra Brands Malaysia and Singapore was present and quoted that Fonterra has always made it a priority to listen closely to consumers in order to meet their specific nutritional needs through the goodness of dairy. A really energetic sketch was prepared to embrace the movement. 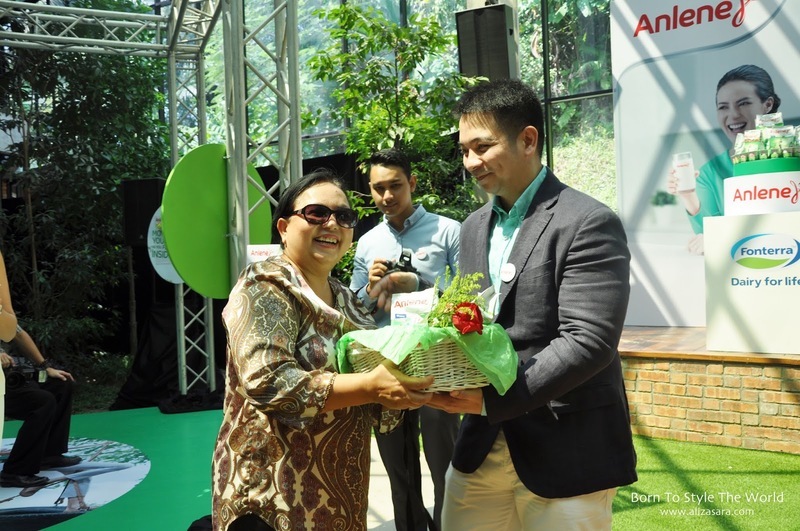 Do keep in mind that Anlene is a brand that was first created more than 20 years ago in Malaysia for the Asian market, with the intention to address the nutritional needs for bone health. 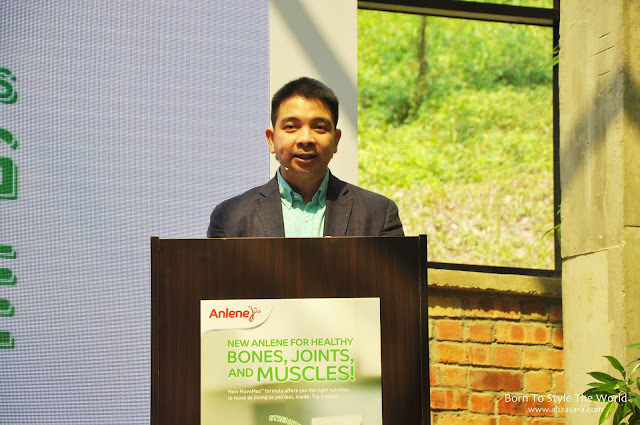 Today, Anlene has highly succeeded to be a global brand, and continues to innovate and address the nutritional needs for not just bones, but in movements as well. 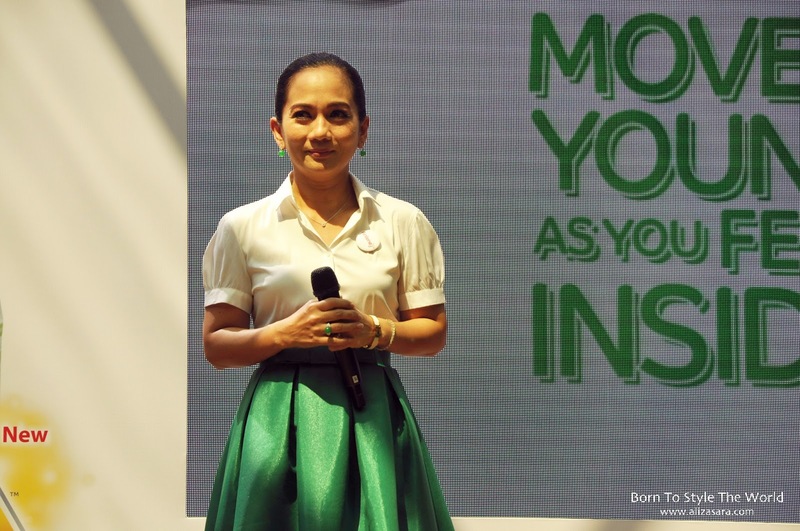 Sheila Majid also made a special appearance at the event as Anlene's spoke person. 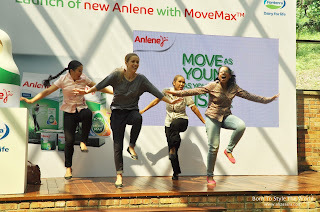 Members of the media had a fun time finding out our Anlene Move Check too! 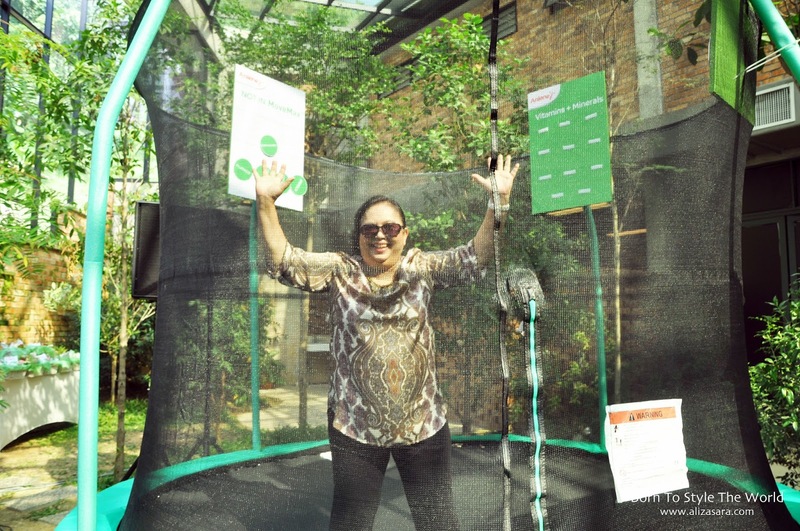 And my favourite one of all, the swing! 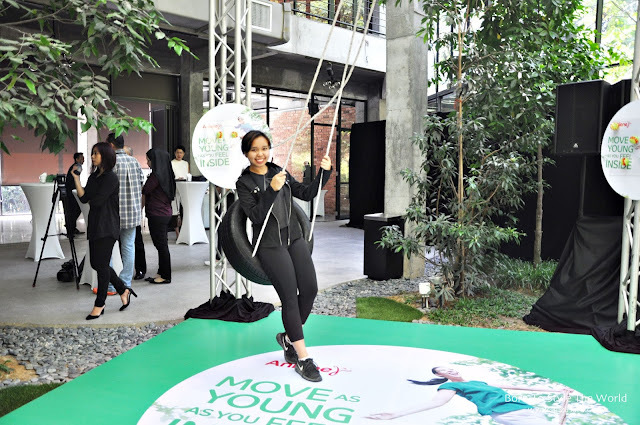 At the experiential launch, we had a taste of fun youthful movements which featured jumping on a trampoline, arcade dance games and a tyre swing in a tree house. And since i managed to move with Anlene, believe me, the games were not as easy as it looks. haha. 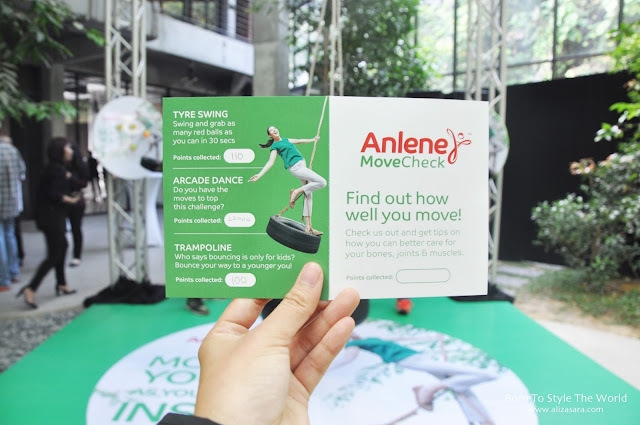 Anlene has created really good touchpoints with consumers like me to fully embrace movements as young as they feel through roadshows, programmes and move checks. Who really knew that movements are as important too right? 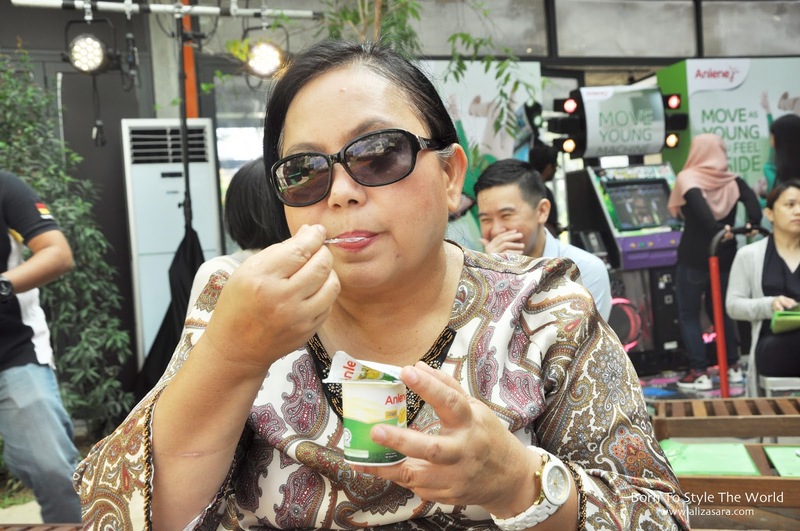 My mum enjoying some yogurt for herself, with of course gaining healthy benefits. 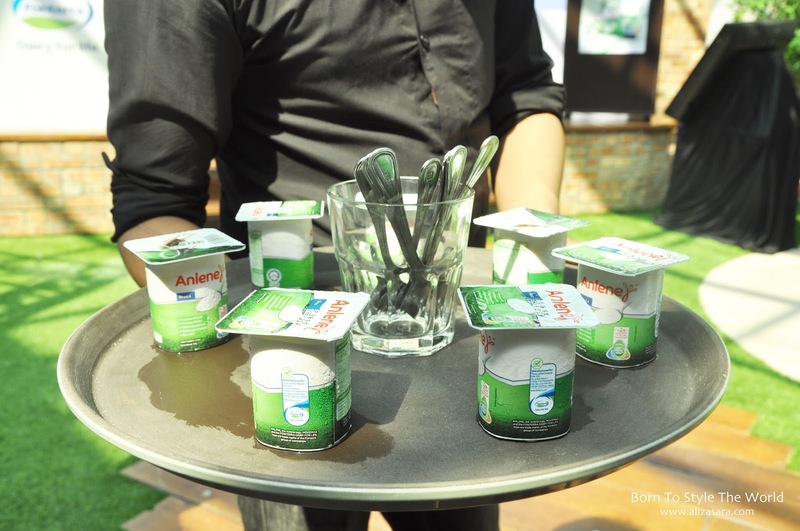 Since the event had a free flow of Anlene milk and yogurt, i'll be honest that i've never tried their milk formulation other than their yogurt range, and since i decided to try the Anlene MoveMax chocolate milk formula, i dont think it was that bad. It was rather refreshing after a long workout of youthful movements. (note to self that im getting older day by day) haha. Its really great to know that they want to empower more Malaysians to move as young as they feel inside. The new Anlene formulation with MoveMax contains important nutrients such as calcium, collagen, protein, as well as other nutrients such as magnesium, zinc, and vitamin B, C, D and E in a nutrient bundle to help care for your bones, joints and muscles. 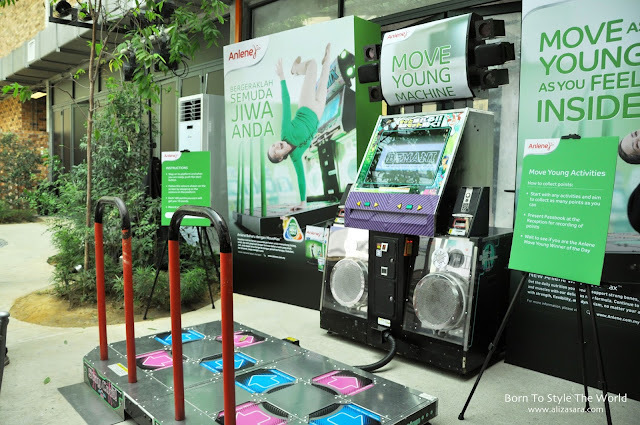 The new Anelen MoveMax is available in all leading supermarkets nationwide and is available in the powdered form as well as in the yogurt form. The powdered form comes in two flavours - plain and chocolate in packs of 1kg, 600g and 175g. The Anlene Movemax Yogurt are available in 4 delicious variants featuring plain, mango, strawberry and mixed berries. (my fav is the mixed berries!) hehe. 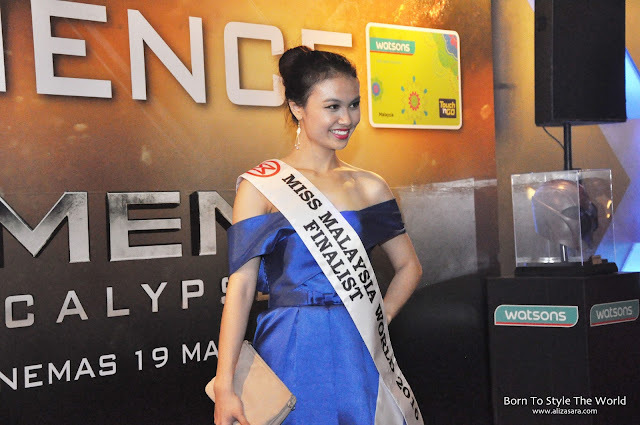 For more information, please log on to www.anlene.com.my or facebook.com/anlenemalaysia. 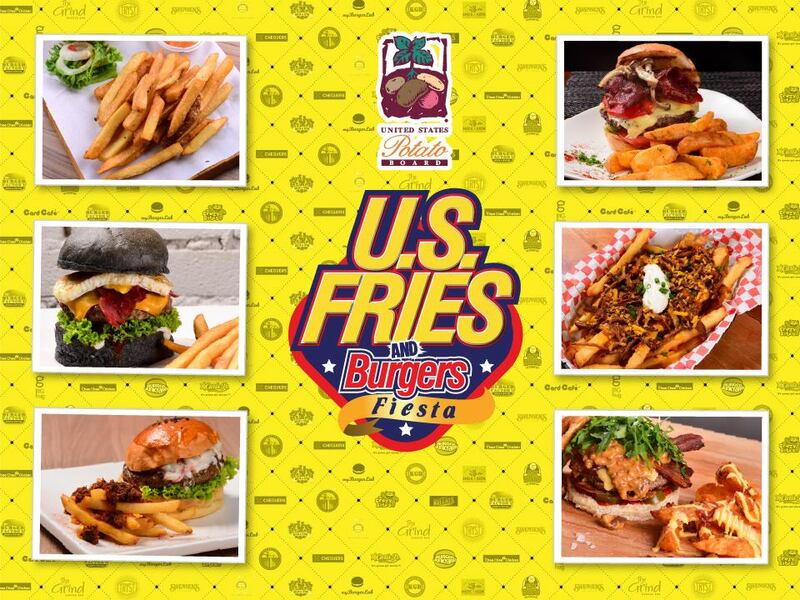 We all love our burgers with any form of potatoes as the sides, so in conjunction with the U.S Fries & Burger Fiesta which is on-going until the end of May 2016, there will be 19 different burger joint and cafes in the Klang Valley participating in this fiesta. 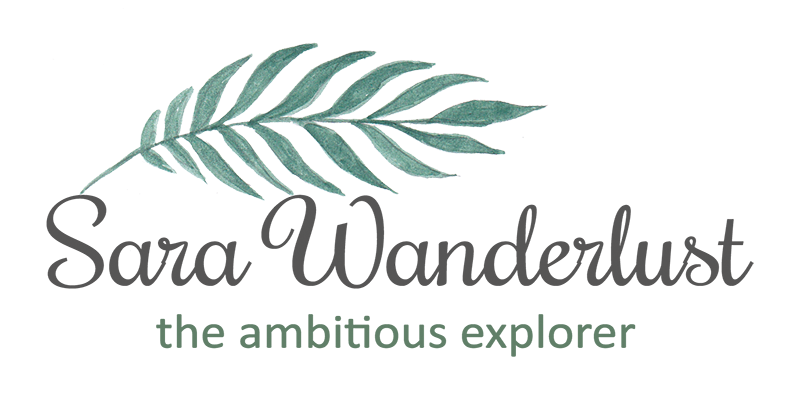 And just to share some sneak peaks on what to expect, I managed to visit one of the participating cafe's to check out what they have to offer! 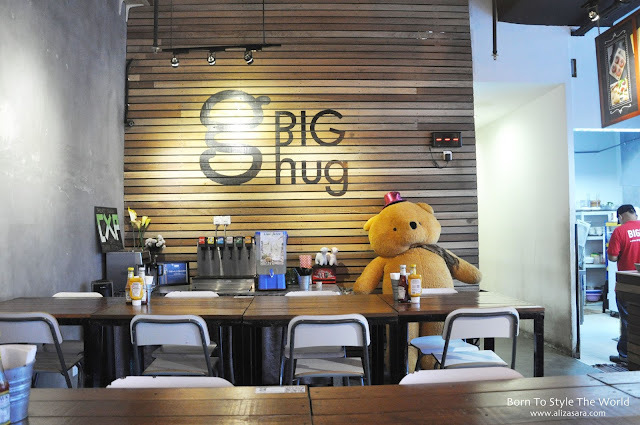 At a small corner in Subang Square, lies the Big Hug Burger cafe, which is located in SS15. And if youre wondering what their featured burgers are in conjunction with the U.S Fries Burgers Fiesta, its would be their Nasi Lemak Burger and Grilled Buffalo Chicken Burger. 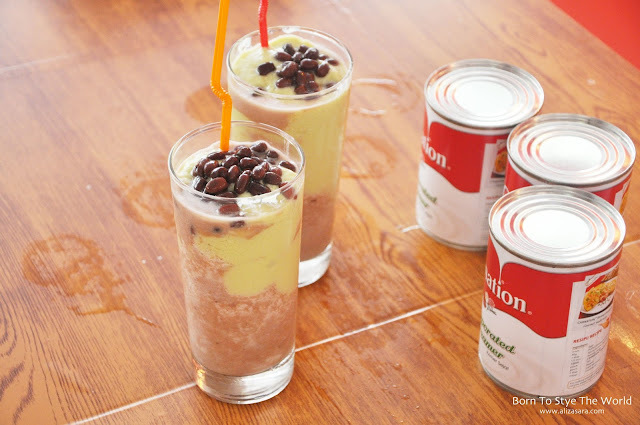 With such an interesting combo of ingredients, it definitely caught my attention! Read on to find out more about these 2 burgers. 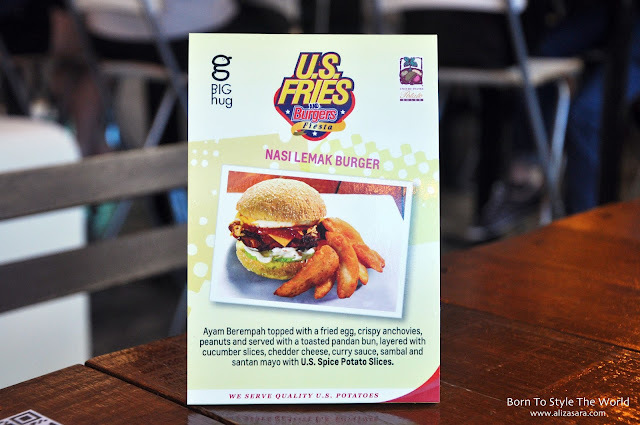 And the other featured burger would be the Nasi Lemak Burger! 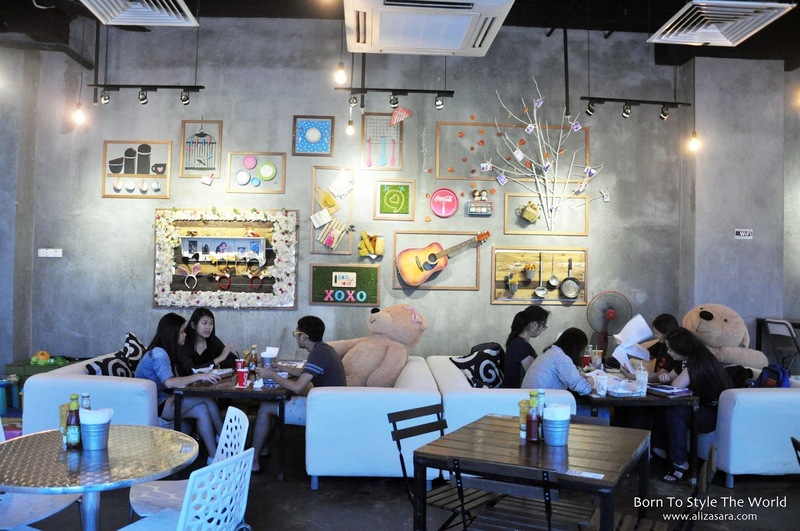 I have to admit that the name of it was rather interesting since it has like an asian fusion to a western dish. 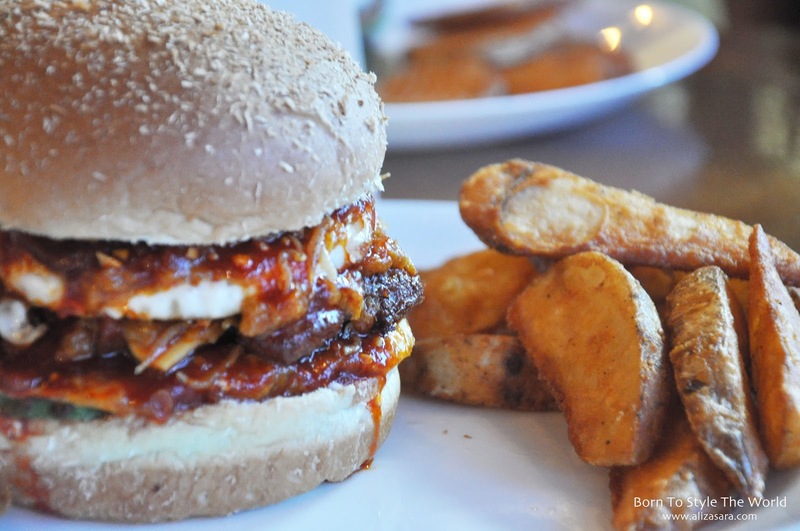 It has Ayam Berempah topped with a fried egg, crispy anchovies, peanuts and served with a toasted pandan bun, layered wth cucumber slices, cheddar cheese, curry sauce, sambal and santan mayo with U.S Spice Potato Slices. 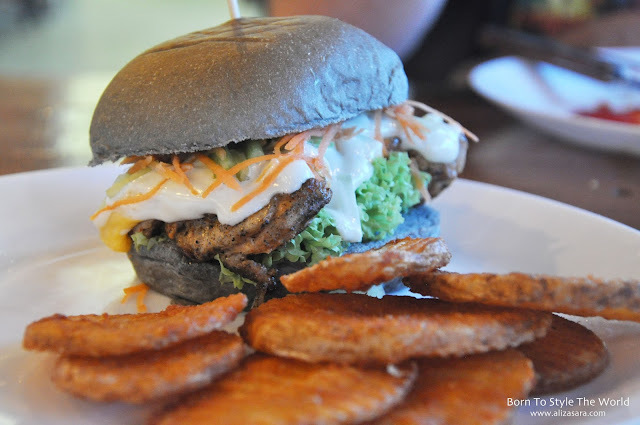 I was surprise that the sambal on the burger was actually tasty! 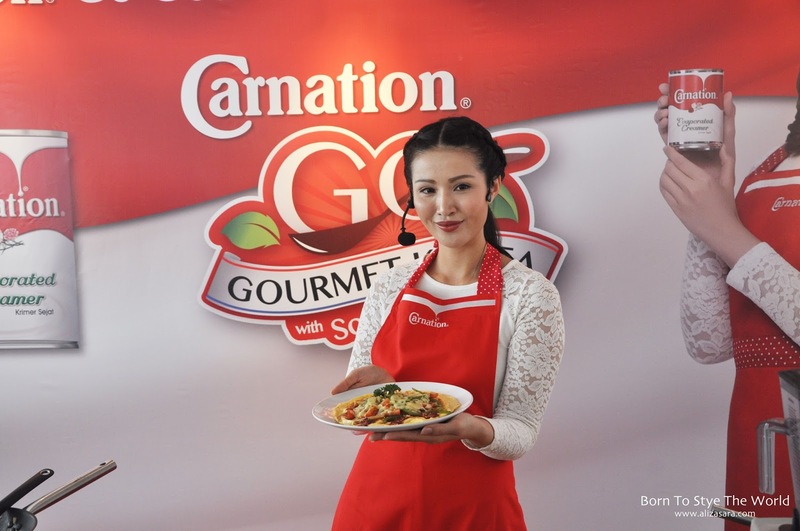 Not too spicy for spice lovers, but to my tastebuds, i'd give this a thumbs up, must try dish! 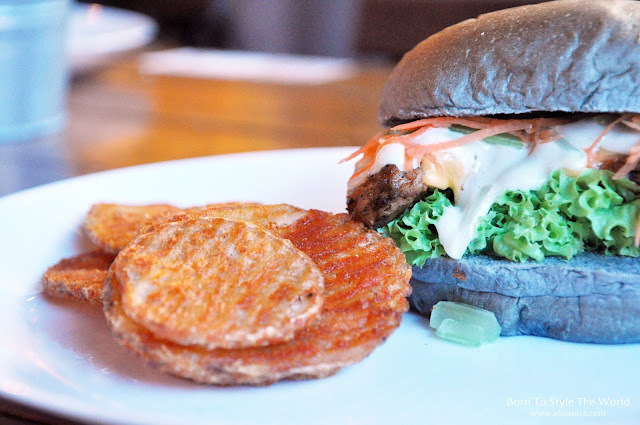 Both these burgers would not be complete without the sides of potato slices! I have to admit that the way they fried their potatoes are on point. But between the crinkle cut fries and the potato wedges, i prefer the thin cuts better. Hehe. Both had a crispy exterior that would just melt in your mouth. With only the best US Potato's, it would guarantee taste and quality.